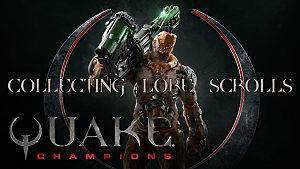 With Quake Champions having been in beta for some time now, a lot of hype is surrounding the game and people are eager to see how successful it'll be compared to its predecessors like Quake Live. 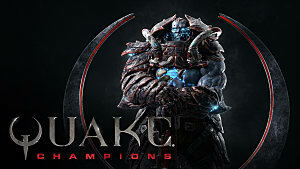 Unlike those games, however, Quake Champions is being pushed as the first game in the main series since Quake 4 in 2005. 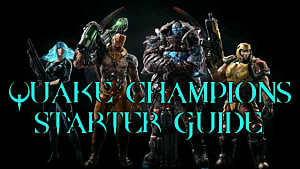 Quake Champions brings back the fast-paced, skill-based, arena-style FPS gameplay that you've come to know and love from this legendary series, and the first hurdle to becoming a master of the game and its mechanics is having an understanding of its weapons. Let's take a look at all of the primary weapons from Quake Champions as of its beta release. The Heavy Machinegun is probably the most "vanilla" weapon in Quake Champions. It operates similarly to the starting machinegun, but its rate of fire and damage are cranked up a bit. It has a wider range than the Lightning Gun, so it's very effective when you're rushing into medium range and strafing around an opponent -- just expect to expend a lot of bullets to get a kill. 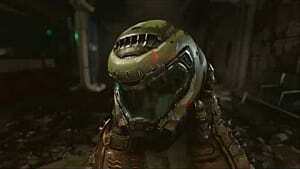 The Super Nailgun's fire rate is higher than the starting nailgun and it also pierces armor. This gun has the highest DPS in the game right now, but it comes at the cost of being the most difficult to operate and master. Predicting your opponent's movement is key to becoming effective with this weapon because its rate of fire is slower than the HMG and Lightning Gun. The Super Shotgun is double-barreled, firing two shells per blast. This is the ideal close-range weapon when it comes to finishing your opponent off. The firing rate on the Super Shotgun is extremely slow, but the damage you get out of this gun is enough to put the finishing blow on any enemy without armor if they're already banged up. If you're patient with your blasts and nimble with your movements, you'll be able to bring an opponent down in 2-3 shots -- but it's a dangerous strategy, especially against faster foes. 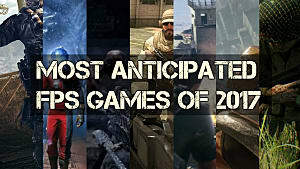 The Rocket Launcher is a classic gun in the Quake series. You're going to see this gun very often, and although it's fun to blast around and play with rocket jumping, knowing how to lead your shot and utilize other mechanics like the gun's splash radius is crucial. Rocket jumping is executed by shooting the Rocket Launcher beneath you, which will vault you into the air at the expense of some of your health, so some classes, like the Ranger and Scalebearer, are better geared toward the strategy. On top of that, if you're accurate with the Rocket Launcher, you can kill your opponent in 1-2 shots. 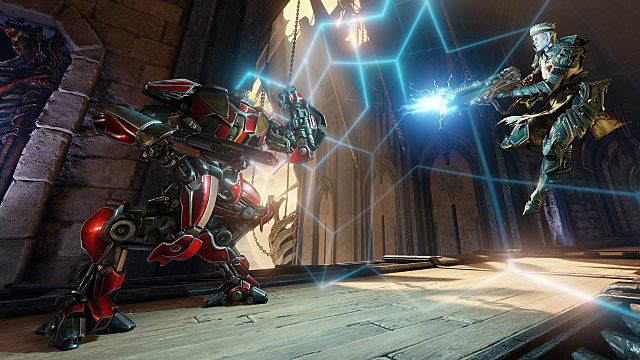 The Lightning Gun is unlike any other gun in Quake Champions, emitting a stream of lightning that beams through players and deals constant damage. While it does less damage than the HMG, the Lightning Gun's damage ramps up much faster. Players who are precise with this weapon while chasing opponents through corridors will be able to quickly melt their health. The Railgun is the Quake equivalent of the sniper rifle. High precision and high damage is balanced by a very low firing rate and long reload time. Using this gun at close range is not what you want to do. 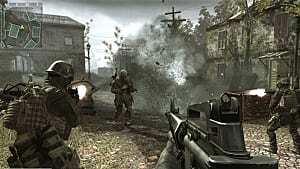 Wait patiently as players come to grab a power-up or armor and delete them from the map with this gun. 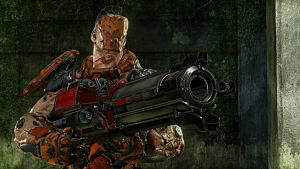 And while camping can be dicey in Quake Champions because of the games furious pace, certain modes like Sacrifice and Dual Deathmatch, lend themselves to a sometimes stealthier, sniper-centric strategy. 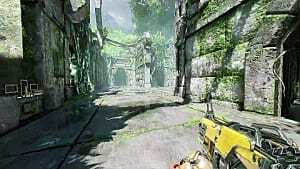 As it should be in a well-balanced arena FPS, there is no "best" weapon in Quake Champions, and true mastery of the game is knowing which weapon to use in each situation and encounter. There are different spreads, firing rates, and DPS values, so the only way to improve over time is by establishing a strong sense of in-game knowledge and muscle memory. 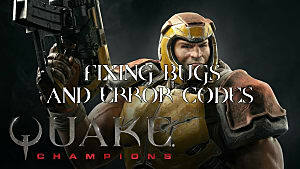 Stay tuned to GameSkinny for more news and tips on Quake Champions as it comes closer to release and beyond.